We have been diving for a combined 30+ years and have been SCUBA buddies since 2011. 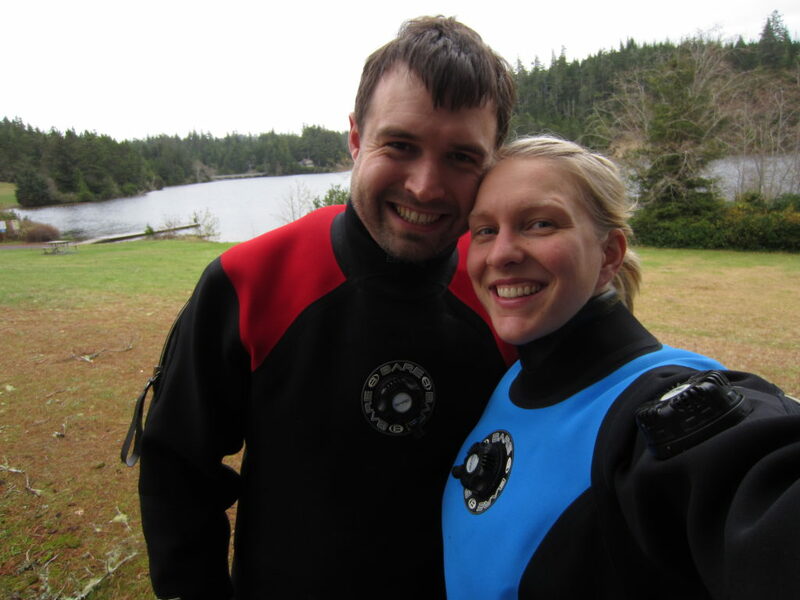 We (Heather and Douglas) are a couple of SCUBA fanatics located in Oregon. You can contact us at [email protected]. Heather started diving in high school and Douglas started diving in college. We both volunteered as research divers during grad school at Oregon State University but we didn’t meet until Heather had already graduated. Since 2011 we have been SCUBA dive buddies and continue to enjoy exploring all of the wonderful dive sites that Oregon has to offer. We have gone diving all over the world (Egypt, Fiji, Vanuatu, Honduras, St Kitts, Solomon Islands, Vietnam, Saba, and more) but we love diving in Oregon the most. We are always looking for new places to go dive in Oregon. If you know of somewhere that we should check out, please let us know! If you are a local dive shop or otherwise are in the SCUBA industry and want to talk with us about including your shop or other information on this website, please get in touch. We are eager to help promote the SCUBA industry in Oregon and help Oregon divers find more places to get wet. If you have suggestions of where divers might stay, where they might eat, other things to do or see near a dive site, or other ideas, please get in touch.